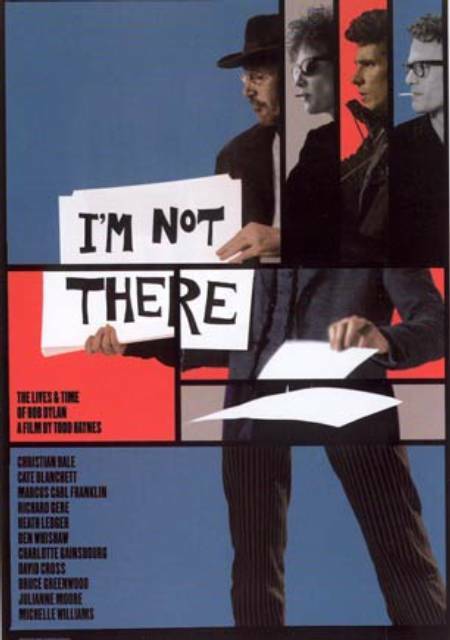 Recently Samir had strongly recommended me to watch a movie called “I am Not There” and I did not get much time to watch it during the last month [He is so influenced that since he saw the movie, his away status message is “I’m Not There!”]. So finally I saw the movie. Well I did not know anything about the movie what it was about, or rather who it was about. The movie begins with short, seemingly totally disconnected shots, involving different actors and characters in different time scales and settings. This style is continued throughout the entire film. Seemingly the things are unrelated, and you get a feeling that you would probably get if you are watching six different TV channels one after the other. There seems to be no coherence, nothing which links these different stories, as not only the time frames but also the character are different. If this was made in bollywood, I guess all the roles would be played by Kamal Hassan, who has a fetish towards playing many roles in a single film. This I think saves him from trouble of showing his talents in different films as different characters, as he can show them off in just one production. Yes we do have phases in our life, at a certain age we would be very strongly influenced by some philosophy or persona, but this most of the times does not last forever. How many people now say “Michael Jackson is the King of Pop!” In our childhood we have heroes and fantasy characters which we have a liking for, but they fade away with our childhood and its memories. How many things from your childhood you can remember, which you consider now as stupid? This I think applies to the our so called adult phase also, in fact I think we are all just grown up children, don’t we grow up from children? We have different fads in our life and these fads represent our different phases of life. 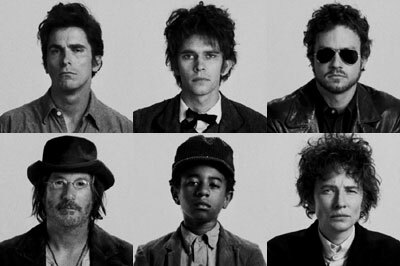 So this movie is really a longitudinal cross section of Bob Dylan’s life, as seen in different perspectives. One person can have different lives, as disconnected as shown in here. This is a longitudinal view of life, in which we can demarcate the different phases, as we can see them. But I have another question to raise here. The question is similar to the poster above. In fact this poster iconifies the question. How many different lives you can live at the same moment? Don’t get it? I will put it in another way. How many different phases you are currently living in? I am not talking about the past phases or the future phases, but the current phases. The movies shows the phase changes over one’s life time, but what kind of phase chagnes we do in a matter of a week or day or hours? Another important distinction that I want to add is that the phases shown in the movies were linear, by which I mean you cannot go back to earlier phase from a later one. But in our own life we do, do that. Let me explain, what I mean here. The question is what are you, now? I can distinctly identify many different “me’s” in a days work. I can be a physicist, an astronomer, a biker, a photographer, a naturalist, a cook, an artist, a designer, a bibliophile, an educationist, a teacher, a film critic, a shopper, a philosopher, an idiot, an art critic and fan, a gardener, a mathematician, a lover, a historian, a collector [of various sorts], a writer, a foodie, a rationalist…. ये जो वल्ड है ना वल्ड, ईसमें दो टाईप के लोग होते है. एक जो सारे जिंदगी एकही काम करते है, अौर दुसरे जो एक ही जिंदगी में सारे काम करते है. All of these are part of my persona, when I look at them from without, I see them as different as they can be, they are many times totally disconnected, yet they form me, they are the part of my own persona. All these different personalities are somehow integrated to form the whole of me. Though each one of them is most of the times distinct, yet the are related. The relation is through me. Many times I feel as if all these different people are living their lives through me, I am only the medium, and have no life of my own. Or is it that I have multiple lives, and living all of them at the same time? How come these different persona’s came to my life? Why I have only these not others? Does this happen with everybody? How does one interpret all this, in the larger context of life? Now that I have raised these questions let me tell you my answer to this. You will interpret all of this differently than I have, and I don’t expect you to agree with my PoV here. I guess the next step is to integrate all of these, and have a broader picture of life. That is what you see as a physicist should be intelligible to the other you, who is not a physicist. This is one way of looking at it, but why should we mix them. It is not at all necessary to mix things, people can and do have disconnected lives, don’t they? What commonality do two people working in entirely different conditions have? Is it imperative that they get each others world views? How many different “you” you can identify in yourself? 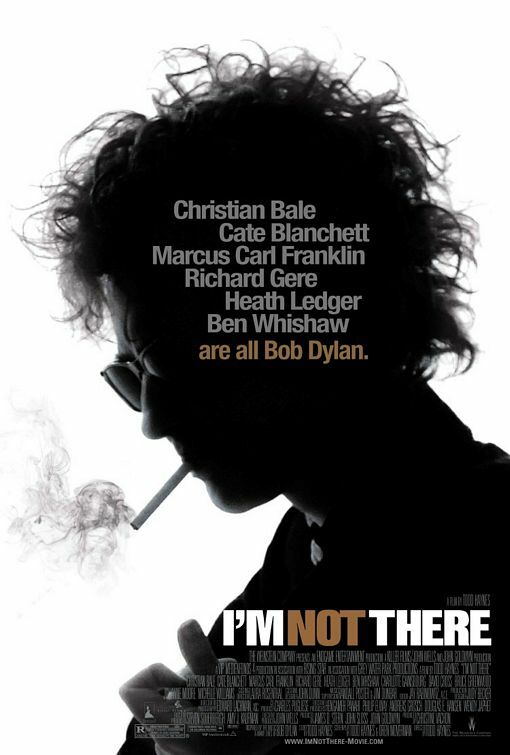 This entry was posted in b, bob dylan, I am not there, life, movie, philosophy. Bookmark the permalink.